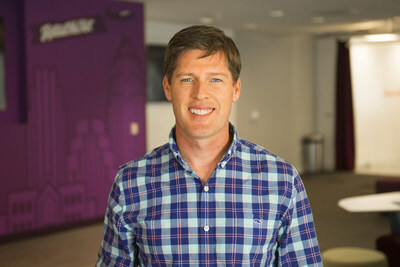 AUSTIN, Texas, Nov. 6, 2017 /PRNewswire/ -- RetailMeNot, Inc., a leading digital savings destination connecting consumers with retailers, restaurants and brands, both online and in-store (www.retailmenot.com/corp), today announced the appointment of John Adcock as senior vice president, people, effective November 6, 2017. In this role, John will lead the full spectrum of human resource functions including the global workforce strategy, culture and engagement, talent acquisition and development, compensation and benefits, and training and development. "At RetailMeNot, we believe that our people are our biggest asset, so I am thrilled that John Adcock will be joining the executive team as senior vice president, people, to lead our HR strategy," said Cotter Cunningham, chief executive officer, RetailMeNot, Inc. "John brings tremendous experience to the role, where he will focus on further cultivating RetailMeNot's unique culture and employee experience, and oversee HR processes to further enable our team's success. John will play an integral role in continuing to drive those efforts, especially during this pivotal period of growth at RetailMeNot." John brings nearly 20 years of human resources experience to RetailMeNot. He most recently served as the vice president of human resources at HomeAway, supporting the full organization in hiring, development and growth of its worldwide talent. Prior to HomeAway, John was at Dell for 11 years in various HR business partner roles as well as leading learning-and-development teams. At American Airlines he led efforts to redefine performance management and leadership development. RetailMeNot, Inc. (https://www.retailmenot.com/corp/) is a leading savings destination connecting consumers with retailers, restaurants and brands, both online and in-store. The company enables consumers across the globe to find hundreds of thousands of digital offers to save money while they shop or dine out. RetailMeNot, Inc. estimates that approximately $4.4 billion in retailer sales were attributable to consumer transactions from paid digital offers in its marketplace in 2016, more than $600 million of which were attributable to its in-store solution. The RetailMeNot, Inc. portfolio of websites and mobile applications includes RetailMeNot.com in the United States; RetailMeNot.ca in Canada; VoucherCodes.co.uk in the United Kingdom; ma-reduc.com and Poulpeo.com in France; and GiftCardZen.com and Deals2Buy.com in North America. As wholly owned subsidiaries of Harland Clarke Holdings, RetailMeNot and Valassis, a leader in intelligent media delivery, are partnering to connect retailers and consumers through meaningful digital, mobile and print promotions both online and in-store.